Day 4, 09:46 – Sint Truiden | Starsway - The unforgettable walk! 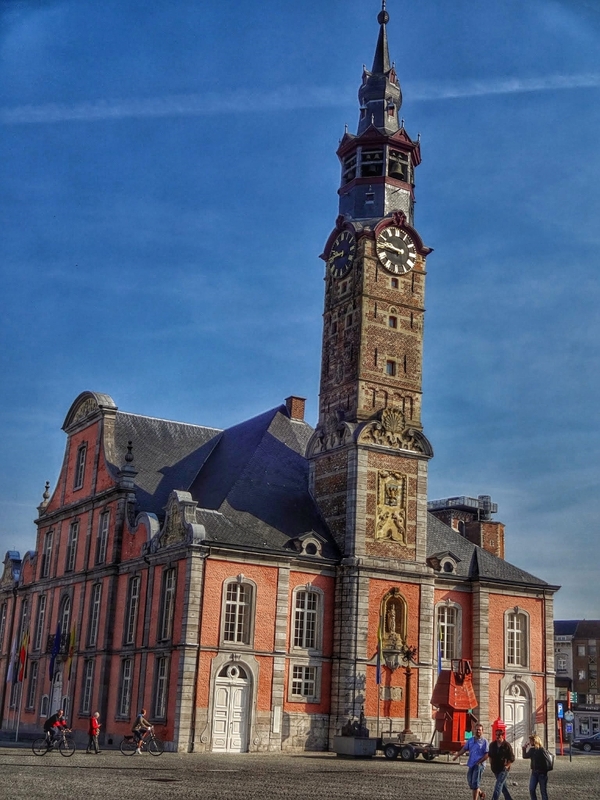 The tower of the Sint Truiden town hall belongs to the Belfries of Belguim and France UNESCO World Heritage Site. In Tienen I stayed in the first kind of pilgrims hostel. I asked the owner, why there aren´t more of it on the way and she told me that this is not very much liked in Belgium (and I believe in France its the same story). According to her, the pilgrims have very often little financial resources, sometimes a lousy appearance and most important the pilgrims albergues which are relatively cheap (in Spain its 5 – 7 Euros a night) bring down the prices of the other private accomodations and this is not wanted.